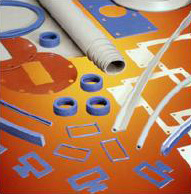 Niantic Seal is your complete sealing source for both Dynamic and Static sealing solutions. A seal failure can cost customer time and money as well as possibly endangering personnel. Niantic Seal provides technical assistance for seal selection based on such factors as chemical compatibility, operating temperature, sealing pressures, operating environment and price. Contact our application engineer or request a sales engineer to visit.